Maine’s First Iron Fly Competition! Selene’s Fly Shop, Maine River Guides, and Fly Fishing in Maine are proud to Sponsor Maine’s first Iron Fly Competition in conjunction with the 2014 Fly Fishing Film Tour!!! WHAT is an IRON FLY Competition? 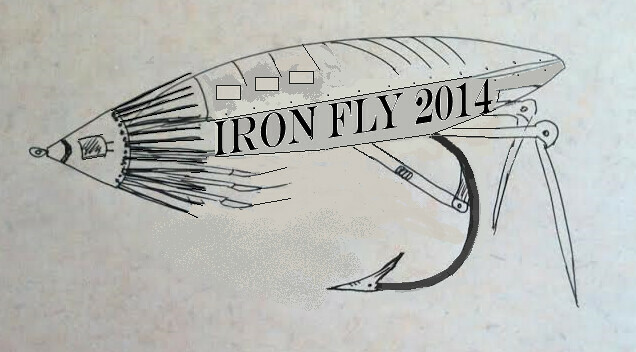 Iron Fly is a friendly fly tying competition where fly tyers tie head to head utilizing “secret ingredients” assembled by our crew of competition judges. Tyers will create a fly limited only by their imagination utilizing only ten materials given at the beginning of the event. Participants will have (30 minutes) to create and deliver their creation to the finish line (judge’s booth) in the allotted time given. Tyers are required to register in advance for $15. Saturday March 1st at 3pm. Competitors are required to register in advance. Spectators, supporters, and hecklers are welcome for free!